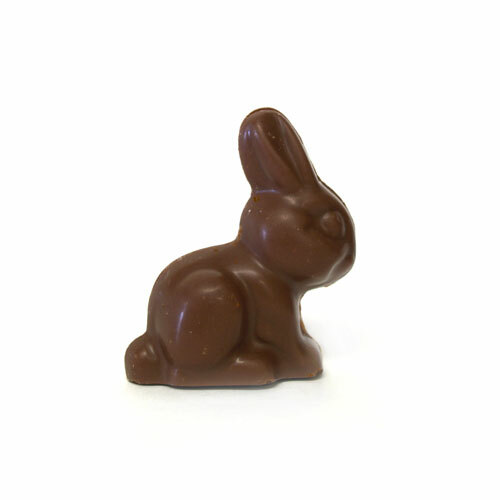 This cute little bunny is made with creamy dairy-free "milk" chocolate! The perfect addition to a non-dairy Easter basket. 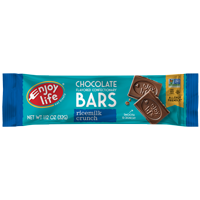 Ingredients: Vegan "milk" chocolate (organic rice milk, organic evaporated cane juice, organic cocoa butter, organic cocoa paste, organic almonds, organic vanilla). From the package: Equipment shared with peanuts/tree nuts. Ingredient suppliers may share equipment that could result in trace amounts of dairy protein. Additional information from the manufacturer: Facility does not process milk, soy, eggs, wheat, fish or shellfish. However, there may be traces of milk in the chocolate supply. Misc. info: Does not contain any corn or corn-derrived ingredients. Sjaak's Organic Chocolates sources fair trade and ecologically responsibly grown ingredients when possible. Gluten-free info: Contains no gluten ingredients. Additional information from the manufacturer: Facility is wheat-free. Vegetarian info: This item is vegan. Sjaak's Organic Chocolates is a vegan facility. 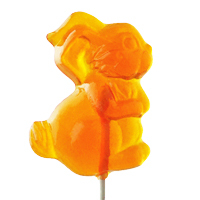 Each 1.1 oz/30g bunny is approximately 2"x1"x2.5" .